USCG Portsmouth is located in the middle of Hampton Roads, which means you have an incredible selection of places to live within just 30 minutes of the base. If you want to live really close to base, you can move to Portsmouth. If you want to be in a more rural area, househunt in Suffolk. But if you want to live where there’s culture, history, and adventure, look for a home in Chesapeake. Chesapeake, Virginia is one of the seven cities that make up the Hampton Roads area. It’s located just 30 minutes from base in the heart of Coastal Virginia. The city of Chesapeake is home to several stops along the Civil War Trail, and its Great Dismal Swamp is nationally recognized as a stop on the historical Underground Railroad. Learn more about our nation’s history by visiting these places, as well as Battlefield Park. But there’s more to Chesapeake than history. The city thrives on outdoor recreation, agriculture, shopping, and entertainment. Without ever leaving the city, you can enjoy kayaking and sailing, visit nearby farmers and, of course, shop the local boutiques. When you choose to live in Chesapeake, you and your family will never run out of things to do. This week on MilitaryByOwner, we're highlighting homes for sale in the Chesapeake area, all listed around $400,000. 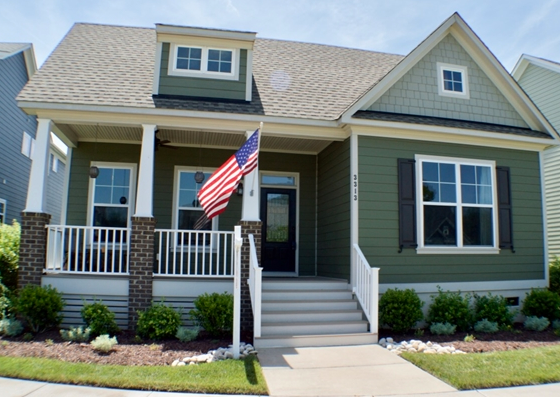 This Craftsman style home is newly built and absolutely gorgeous! You’ll find that it has all the nice finishes like hardwood flooring, crown molding, black granite counter tops, and french doors. But what really takes your breath away is the wainscoting throughout the home. The open floor plan, fenced-in backyard, and two porches make this home ready for easy living. This is a great property to consider if you’re looking for an immaculate turn-key home. 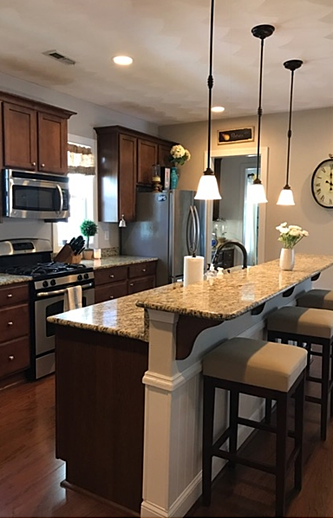 Walk into this four-bedroom, three-bathroom Craftsman style home and you’ll see how calm and cozy it is. The property features hardwood floors, dark wood cabinets, granite counter tops, vaulted ceilings, and a master suite with a jetted tub. But the interior amenities aren’t the only thing that make this home special. The property features a two-sided fireplace (interior and exterior), and it’s located in a great community with a clubhouse, pool, dock, dog park, and playground. This home is perfect for active, outdoorsy families! 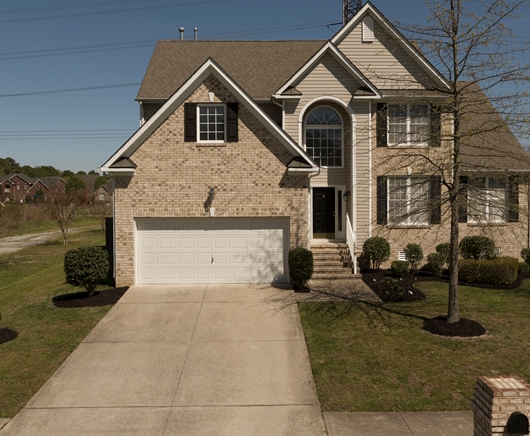 This spacious four-bedroom home is located just a few miles from USCG Portsmouth in the Braddock Landing community. Walk into the property, and you’ll be greeted with a grand entrance, vaulted ceilings, and hardwood floors. As you make your way through the home, you’ll find the master suite on the ground level. It features a tray ceiling, large windows, a large walk-in closet, and separate shower and tub. The kitchen will impress you with the beautiful cherry cabinets, Corian counters, and stainless steel appliances. Upstairs are three additional bedrooms great for the kids and guests. There's also an open loft area that can be used for an office or playroom. With plenty of space both inside and out, this property is perfect for your large or growing family! While the above homes are no longer listed, check out the many other homes for sale or rent in Chesapeake.